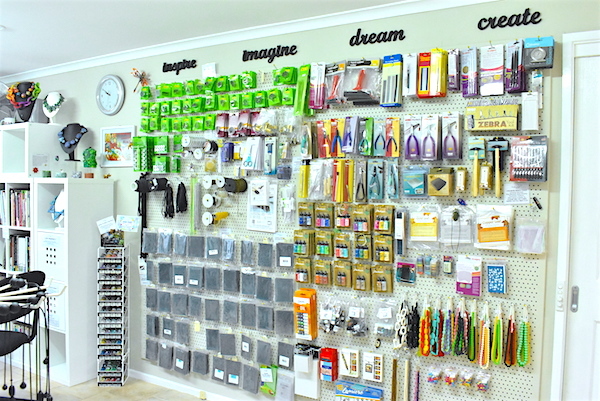 Here at The Whimsical Bead, we stock a range of tools & supplies to assist you in unleashing your creativity! 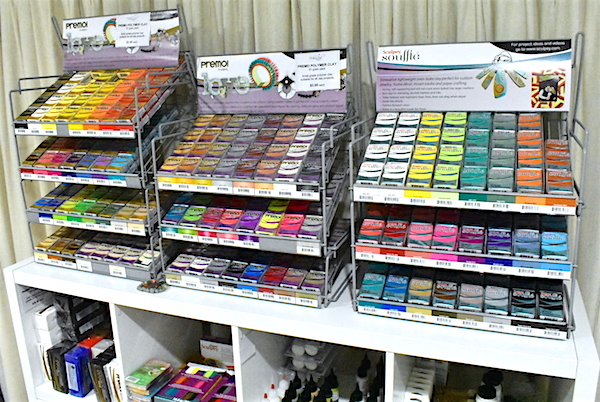 You are sure to find something that suits the medium you work in – polymer, metal, resin, beading, mixed media (plus more!) – we’ve got a range of products to suit. Along with our range of Sculpey polymer clays, we also specialise in high quality blanks, bezels and jewellery making findings and stock a large variety of other products such as texture mats, cutters, stringing material, inks and paints plus more. 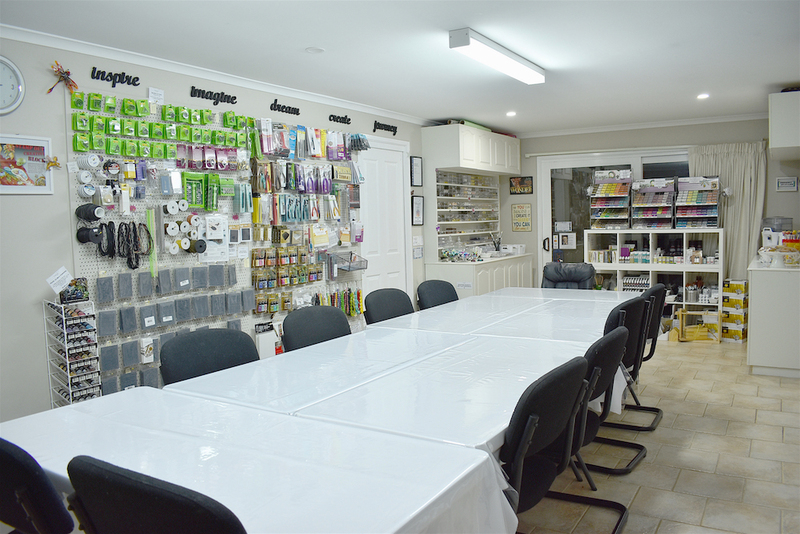 We also have a large range of tools for polymer clay, beading, metal/bench work plus more. A lot of the products we stock compliment the workshops we run, so if students enjoy the techniques they have learned in a class, they are immediately able to purchase the supplies/tools to enable them to continue at home. All of the products we stock are quality products. Dani believes very strongly in this and as a result The Whimsical Bead does not sell products that she would not use herself. For example, the majority of our findings/settings are lead and nickel free and our polymer clays free of phthalates. 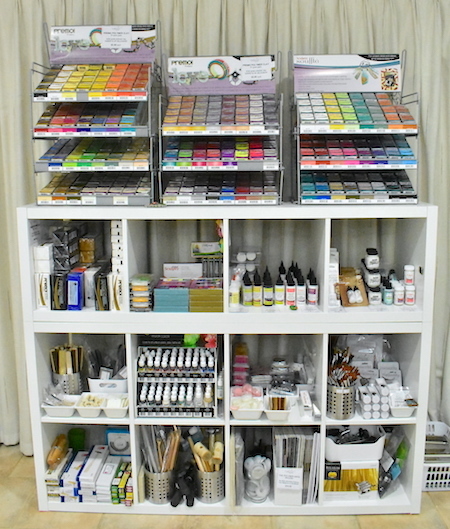 Dani welcomes any questions regarding the products sold in the studio and is happy to discuss these with you. Dani and her team also believe strongly in supporting local and small business and artists and will do so wherever possible whether this be through supplies, workshops or artwork. Unfortunately due to health reasons, as of 1st July 2017 (and after 10 years of trading online), the the online supply store was closed. This was not an easy decision and one that was not taken lightly. You can read all about it/find more details in Dani’s Blog post. We are still very much in business and all our products can be viewed and purchased in our studio. Customers are also encouraged to send through requests/orders via email/text/phone etc. Dani is happy to send you photos and answer any questions you may have. We do still sell some Limited Edition and Special items via the website – including our ever popular ‘Mystery Boxes’ so keep an eye out to see what’s currently available. Special/Custom Orders and Enquiries are welcome. Gift Vouchers in any denomination are also available. We look forward to seeing you at the studio soon!